Hollywood actor Pierce Brosnan is continuing as brand ambassador of Speake Marin for a fourth year. A photo shoot to promote the brand’s One & Two Openworked timepiece show the 64-year-old actor in leathers posing with a motorcycle. 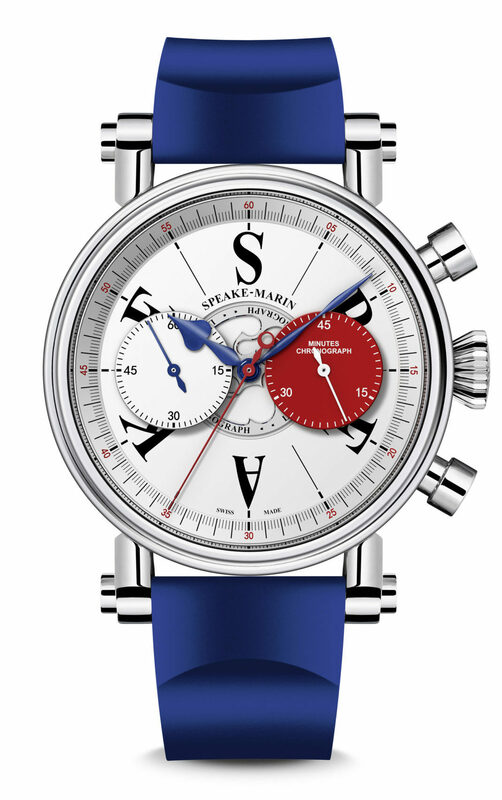 “For these new shots, Speake-Marin had the objective to rejuvenate its brand image with younger and more impertinent clichés,” the company says. “Elegance meets impertinence and twists the codes with a Pierce Brosnan more casual, and impetuous in his attitude,” a statement adds. The key launch for Speake Marin at January’s SIHH was the London Chronograph housing Valjoux 92 movements that the company has kept in cold storage for several years before being assembled into modern timepieces. The special edition watch is housed in a 42mm titanium case with a three dimensional white dial that uses the letters S-P- E-A-K-E as hour markers. Two floating red and white counters are used to show chronograph minutes and small seconds. At the centre of the dial, the central rotor is shaped like the Speake-Marin symbol and rotates with the hours. This central rotor is engraved with “London” and “Chronograph”, two words that appear at 12 o’clock and 3 o’clock respectively. The watch is priced at CHF 17,200.